In the woods, it’s more like what can’t it do. Build a fire or a shelter. Hunt. Forage. If you’re a Bushcrafter, this Abe Elias-designed fixed blade knife will be your go-to blade. A true scandi grind on a 1075 carbon steel blade gives you an efficient cutting tool for all tasks. Just grab hold of the walnut handle and draw it from the thick, high-quality leather sheath. The only thing stopping you from getting out there is…you. In the woods, it’s more like what can’t it do. Build a fire or a shelter. Hunt. Forage. If you’re a Bushcrafter, this Abe Elias-designed fixed blade knife will be your go-to blade. A true scandi grind on a 1075 carbon steel blade gives you an efficient cutting tool for all tasks. Just grab hold of the walnut handle and draw it from the thick, high-quality leather sheath. The only thing stopping you from getting out there is…you. When Leamington, Ontario, Canada designer Abe Elias was creating the Saker™, he found that giving it a proper heat treat and blade geometry as well as an ergonomic handle, enables longer periods of comfortable use. It’s an approach born from working with hand tools most of his life. This fixed blade survival knife is the go-to blade for those who rely only on their tool and skills to keep them alive in the outdoors. Bushcrafters everywhere will be amazed at the knife’s skills. Featuring a true scandi grind, the blade is crafted from 1075 carbon steel, and has a voracious appetite for wood. But what makes it unique is that the overall design combines incredible blade geometry and balance with ergonomics. This enables you to control the cutting edge and get work done, while maintaining a comfortable grip on the walnut handle, keeping your hand from slipping as it’s cutting in whatever conditions Mother Nature throws your way. 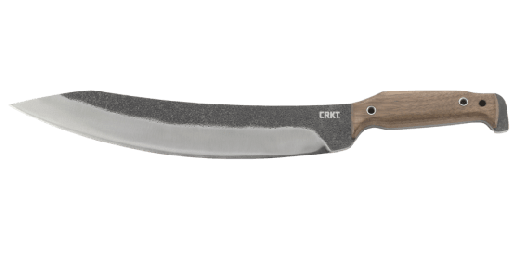 The knife also comes with a thick, high quality leather sheath and a special Bushcraft’s accessory tool that can help wedge, pry, collect pitch, strike a fire starter, and assist in a variety of tasks. If you are a beginning Bushcrafter still developing your skills, or an experienced one honing your craft, the Saker™ is your tool of choice. Abe knows a thing or two about power. 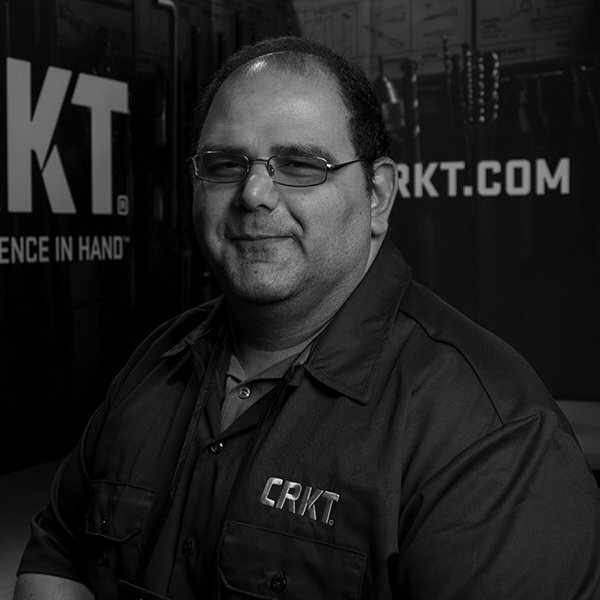 Whether it’s a V-8 engine he worked on as an autoworker or a well-crafted knife that will cut through anything, he developed a love of steel at a young age. Abe got his first knife at the age of six as a gift from an uncle and it spurred him on to become a collector by the age of ten, buying knives with his paper route money. Having designed and made knives since 2003, Abe’s passion for the craft is evident in his Saker™ Bushcraft knife, not to mention all the articles he edits and writes for Knives Illustrated, Knife World and Blade Magazine.